Any RFID based asset tracking system has three main components - the RFID reader, RFID tags and RFID software. RFID readers or scanners, as they are alternately referred to, are an essential component of any RFID based asset tracking system. Are you looking to transition from a barcoding system or are you tired of manually doing inventory tracking? Adopting RFID technologies will greatly benefit your organization. Whether you want to track the doorways to labs or monitor tool cabinets on the manufacturing floor, fixed RFID readers are one important component of your RFID based asset tracking solution. These readers, powered by our AssetGather Asset Tracking software, will not only detect presence of the asset at the door, but also will report direction of movement – is the asset being brought in or being removed? 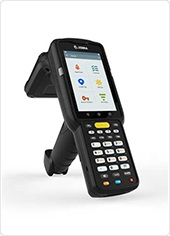 Mobile RFID readers can be used standalone or in conjunction with fixed RFID scanners to enhance any RFID based asset tracking solution, either to complete inventory audits or to search for missing assets in a warehouse, yard, lab, office or datacenter. Choosing the right RFID technology is critical to a successful RFID deployment. In the ever-growing RFID industry there are a wide range of RFID readers to address a variety of tracking needs. AssetPulse with its vast domain expertise can help you choose the optimal RFID reader. RFID readers come in multiple technology flavors – passive and active RFID. 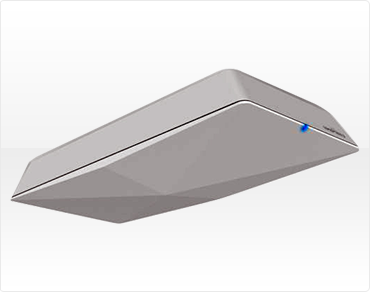 Passive RFID readers have a read range of 3 -12 feet while Active RFID readers read at 30-80ft, depending on several factors including presence of metal and ambient RF noise. 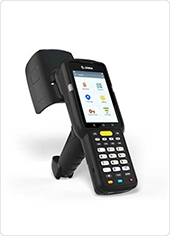 Hand held RFID readers do not require any infrastructure overhead as they are mobile and can work over Wi-Fi. These readers have a read range of up to 60 feet in most operating environments. Fixed and mobile long range readers are available. Active RFID readers with their added advantage of being able to read longer distances than passive RFID readers, can be leveraged to track high value assets like lab equipment over a wide area. Hence active readers are more suitable for zonal real time tracking of assets. Given a read radius of approximately 60 ft, fixed active RFID readers when placed in a facility can be used to actively monitor assets in the facility and the Asset Gather solution, working in conjunction with the readers, can be configured to alert if an asset has not returned to the facility after a specified duration of time. One such usage scenario is to monitor personnel movement for mustering and time and attendance purposes. 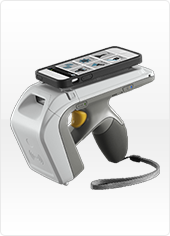 The active RFID mobile reader can be used to scan assets in a zone. It is very effective in searching and locating tagged assets within a large area. 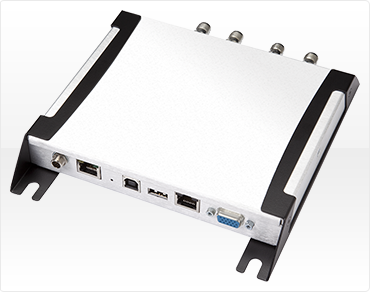 For challenging environments including manufacturing, Oil and Gas and Construction sites, it is important that appropriately ruggedized readers and antenna are used to withstand the harsh environmental conditions. AssetPulse has a variety of readers suitable for such environments. AssetPulse’s AssetGather Software platform rounds out our RFID based asset tracking solution, along with the RFID readers and tags. We offer both a SaaS solution and an on premise installation, based on the customer’s needs. Want a real person to walk you through the FREE demo? Choosing the right RFID tag for your application is of critical importance to the success of any RFID project. AssetPulse has a wide variety of tags to track different types of assets in varying environmental conditions. A wrong tag choice can severely impact the success of an RFID based asset tracking project.